You won’t really get a lot of the mainstream, lovey-dovey side because that wasn’t a part of my life in the beginning. There’s really no age limit when you out there in those streets. The people I used to have around me from Nashville was showing love to the Cash Money clique on the strength of Buck trying to make it; making sure Buck gets to where he gots to go. It was like an honor thing for me to meet 50 cause I respected his whole story. I was young and so eager to make some money as well as get exposed and show my talent. I was young and felt like it was opportunity ’cause they were moving units back then on the underground scene. I want the world to get a feel of me, showing them the way I am and the way I get down. I started rapping when I was about 12 or 13, just playing around with it. I felt like if I wasn’t around, maybe my shot would be gone. I came back to the hood and got in those streets and started doing whatever it took for me to provide. I been doing music my whole life. Everybody was in struggle, in the grind trying to make it. Around the age of 14, 15, I was in the studio, serious about it. David Darnell Brown, also known as Young Buck, is an American rapper, actor, and producer. Buck is a former member of the hip hop groups UTP Playas & G-Unit. He currently resides as president of his own record label, Ca$hville Records. 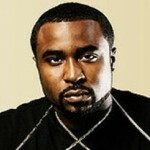 As of August 6, 2012 Young Buck is serving 18 months in Yazoo City Medium Security Federal Prison for gun possession.